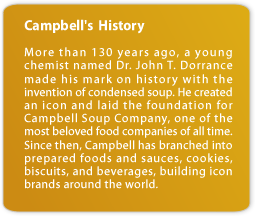 Operation since December 1995, Campbell's Soup is an established multinational food company with headquarters in the USA and regional offices in Malaysia and Australia. 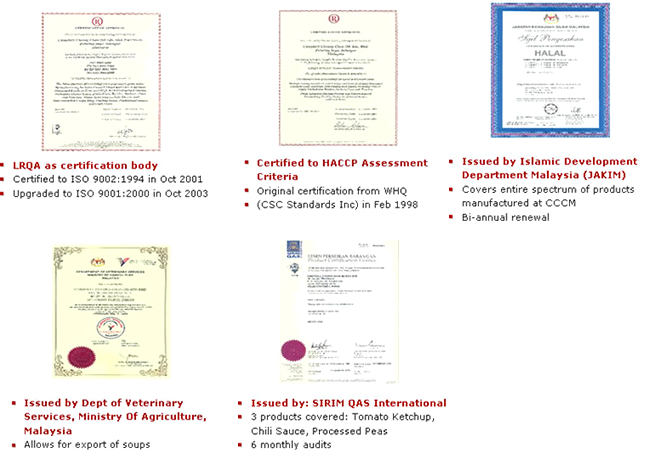 We are a world leading company specializing in the manufacture and sales of soup and sauces. In 2002, Reader's Digest recognized Campbell’s world-class portfolio with an Outstanding Brand Performance award. Today, Campbell's brands are cultural icons to consumers everywhere, symbolizing quality, convenience and great taste. 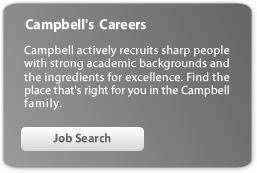 In 1994, a representative office in Singapore was set up to provide liaison and promotional support to the local distributor of Campbell's Soup.